Classic, Ageless Styling and Modern Engineering Glistening chrome and lustrous paint surround a liquid-cooled, 1300cc V-4 pumping out 98 ponies of shaft-driven power, all wrapped within an ultra-rigid, superb-handling chassis. And, For Long-range Comfort and Luxury Riding Pleasure - •Plush, comfortable seats •Passenger backrest •Spacious trunk •Saddlebags • Operator and passenger floorboards •Easy-access audio/CB switchgear •Front and rear speakers New for 2005 •Chrome switches •Burlwood dash treatment for high quality, luxury appearance The 2005 Royal Star Midnight Venture Special Edition Surrounded by onyx lacquer, this ultimate expression of luxurious, long-distance performance and comfort has these special features - •Black accented engine with polished fins •Tons of gleaming chrome •Chromed forks •Studded seat as gorgeous as it is timeless. 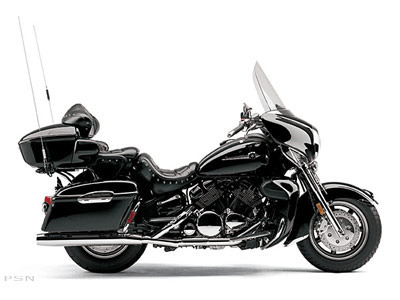 Royal Star Midnight Venture model features beautifully finished chrome front end, blackpainted engine with polished fins, and a sumptuous studded seat and backrest. Chrome engine guarDual Sport, fender trim and 3-D Venture front fender mascot highlight unparalleled styling and attention to detail. Rider accessible, cigarette lighter-type DC outlet in fairing and additional outlet under seat. Ignition switch, with integrated steering lock, mounted to front of fuel tank for extra convenience. Single-point audio control system for AM/FM radio, cassette and intercom is CD changer-compatible and heaDual Sportet-ready. Class-leading long wheelbase (67.1-inches) and long, overall length (104.5-inches) provide increased rider control and comfort. Long wheelbase also creates exceptionally roomy ergonomics and legroom for maximum rider and passenger touring comfort. Air-adjustable link-type rear suspension features a vertically mounted single shock with 4.1 inches of travel for hardtail look and outstanding long-distance ride quality. Wide, fork-mounted fairing, winDual Sporthield, wind deflectors and frame-mounted lower cowlings offer outstanding weather protection. 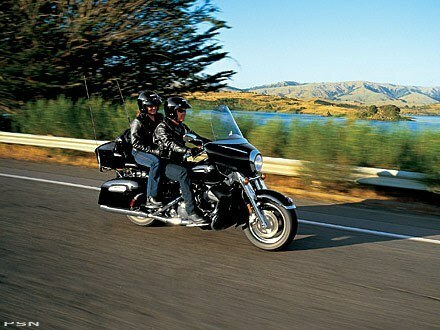 Easy-to-reach, large-diameter, rubber-mounted handlebars reduce vibration. 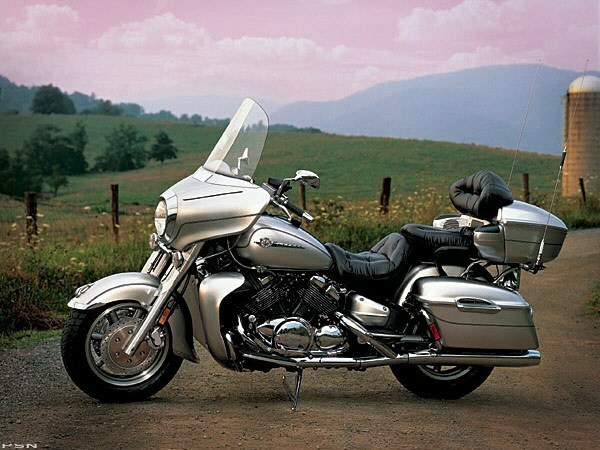 Liquid-cooled, 79 cubic-inch V-4 tuned to put out class-leading power—98hp @ 6000 rpm and maximum torque at 89 ft.-lb. @ 4750 rpm —for incomparable touring performance. Four Mikuni 32mm carburetors with TPS deliver seamless throttle response and greater power across the entire rev range. Huge airbox capacity provides exceptional airflow to help boost both torque and power. Wide-ratio 5-speed transmission with 5th-gear overdrive geared for both highway passing power and lower-rev cruising speeDual Sport. New, billet-look front brake and clutch levers for enhanced control, comfort, and vibration resistance. Clear turn signal lenses provide a custom, high-visibility touch. New, 3D trunk emblem and new ignition key design.